The Bachelor world is a strange one. Friends date the same people, exes meet up for drinks, people get engaged and married on national television. 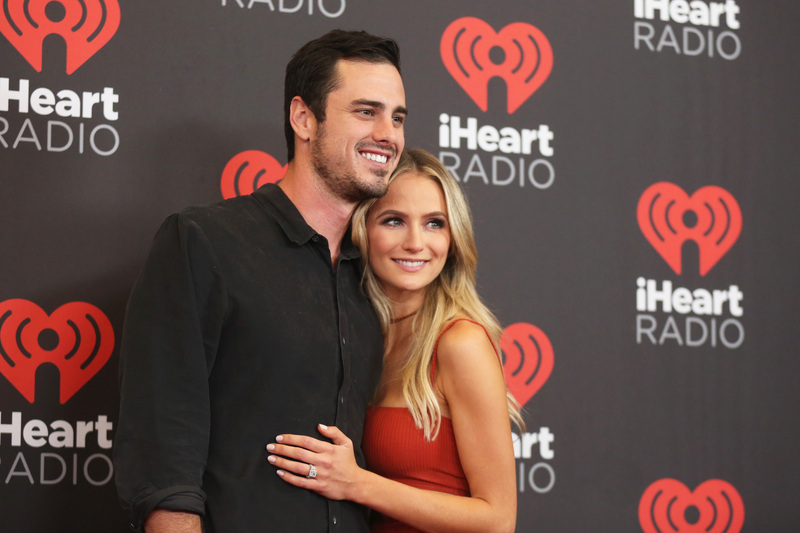 Not long ago, two of the newest Bachelor world couples met up for a double date. Ben and Lauren had dinner with JoJo and Jordan. Of course, Lauren and JoJo knew each other from both competing and falling in love with Ben. Ben had said I love you to both girls. Now Ben is engaged to Lauren. JoJo is engaged to Jordan. And so that dinner becomes a confusing web of relationships. There haven't been many instances of Bachelor world couples double dating, perhaps because there just aren't that may still-together couples. According to Hollywood Life, though, Desiree and Chris did express interest in double dating with Sean and Catherine after their engagement. That night out would also have similar crossover weirdness (Sean had dumped Desiree on his season). I'll be honest, Sharleen is one of my favorite Bachelor alumni. Her grounded perspective on the show is refreshing. She blogs about various seasons on her website and writes show recaps for Flare. It is no wonder that many Bachelor world alumni reach out to her after their time on the show. She's friends with women from her own season (Juan Pablo's) as well as new contestants like Caila, as seen above. While it could be awkward with all the intermingling and inter-dating, this opera singer is always down for a date with past contestants. A friendship date that is, as she is engaged to a handsome non- Bachelor man. When you're trapped in a house for hours on end, friendships form. There are no computers or cell phones. The outside world does not exist. Therefore, close friendships begin that continue long past the show. There is proof all over Twitter and Instagram that the men of the Bachelorette still spend time together. Even with the awkwardness of dating the same girl. Here, a bunch of JoJo Fletcher's boys hung out on a bro date. On a show where every season a "villain" emerges, it is interesting to see what happens after all is said and done. One of the best "villains" in my book was Courtney Robertson (Ben Flajnik's season). I say villain with a grain of salt. I found Courtney to be snarky, funny, and interesting to watch. After her season she went out on some dates with Bachelor alumni Arie Luyendyk. She also spends time with new contestants such as "The Twins." Friendship dates are more common than double dates in the post Bachelor world. For example, Andi Dorfman, like Sharleen, is the queen of the post-show friendship. Bachelor stars Sean Lowe and Jason Mesnick did participate in the program Wife Swap. This could be seen as the ultimate double date, I suppose. In the show, Catherine Lowe and Molly Mesnick swapped lives to see what it was like living with a new husband. This Bachelor-world mix up made for odd, but entertaining TV. Ultimately, The Bachelor world continues far past the show. All you have to do to be invited in is to either get engaged or broken up with on national television. So, you know, normal stuff.